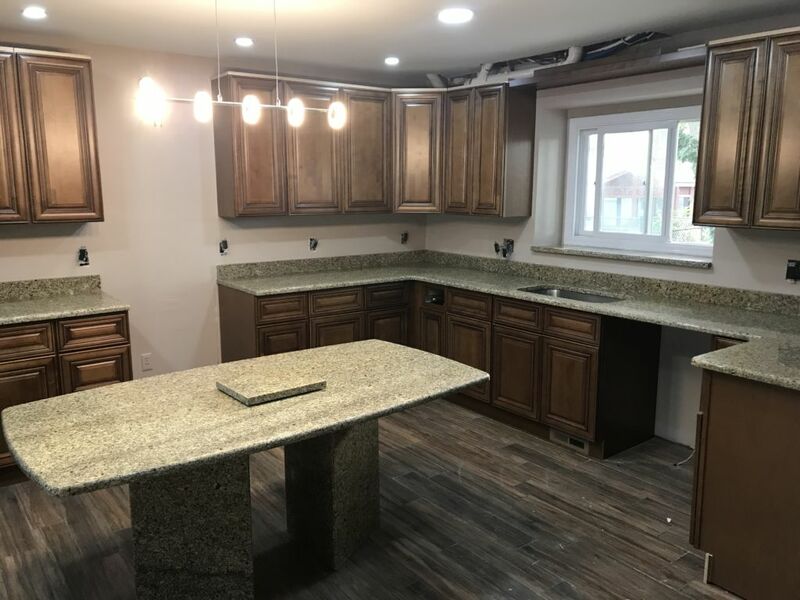 Very Nice and consistent granite color for this elegant remodeled kitchen for one of our contractors. Beautiful waterfall edge and great finish edge quality , Nice Single bowl under mount stainless steal sink to match all the appliances in the kitchen. Another happy customer in Shelby Township Michigan.